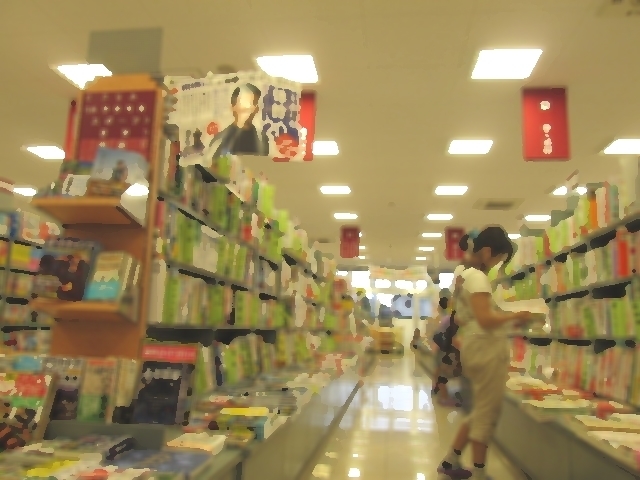 I am cleaning the floor at the bookstore. Perhaps I am a clerk here. but it is awkward to bypass the bookshelf. and jump a bit to the other aisle. It is a splendid leap. the edge of the stacked books. I wonder why I ran away ashamed of it. I am in a place like a shrine's precinct. The taste of a quaint garden with moss. Surrounded by high trees, it is quiet. start sweeping the ground with my bamboo broom. Management is careful, there is no fallen leaf. Eventually the noise will be heard from afar. Is it an excursion for kindergarten children? I do not want to. I was in trouble. I feel I can not find it here. and jump over there anyhow.